New additon to our popular Kiara range which features a sumptuous black flock design on canvas. This strapless dress has a fitted bodice with a wide embossed fabric panel to front and flares out from the waist to a tail at the back. The neckline is fitted with elastic for a comfort fit and is trimmed with beautiful black lace and a ribbon bow. 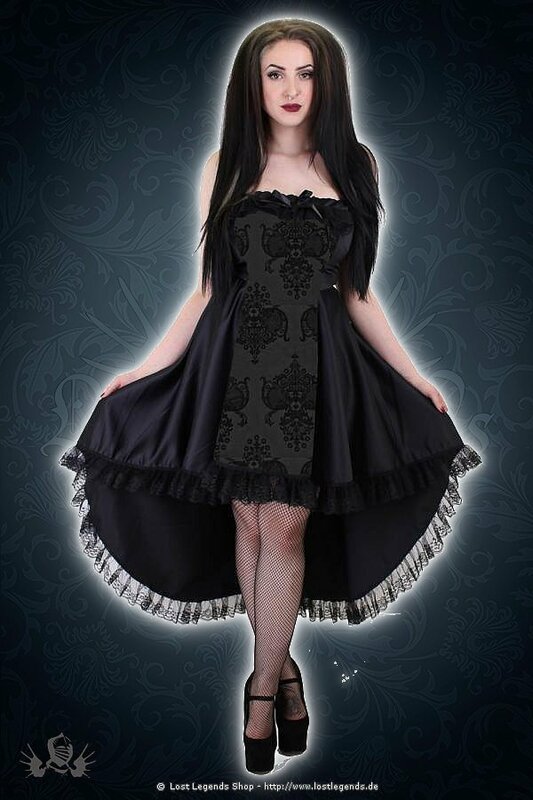 The full skirt is in plain stretch canvas with a hem in the black lace with gathering. There is a zip to back.